Fit Paws Hydrotherapy | Who can receive Hydrotherapy? Hydrotherapy is a low/zero weight bearing exercise. It can be used alongside other rehabilitation programmes or on its own to get our furry friends back to health or to lessen the pain and effects caused by degenerative illnesses. 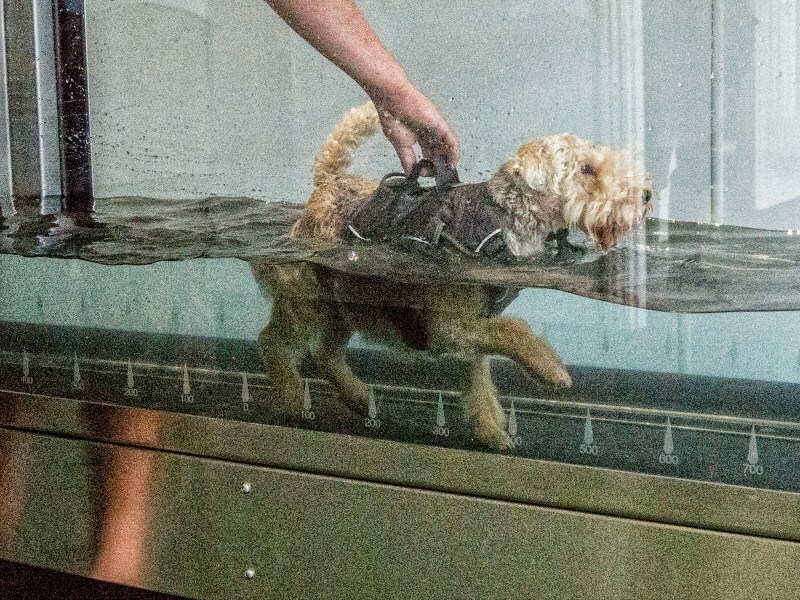 Hydrotherapy is a great way for dogs to stay in shape as well so dogs who aren't necessarily suffering from any illnesses can also benefit from hydrotherapy as it offers a different kind of mental stimulation and exercise without causing excessive pressure on joints. 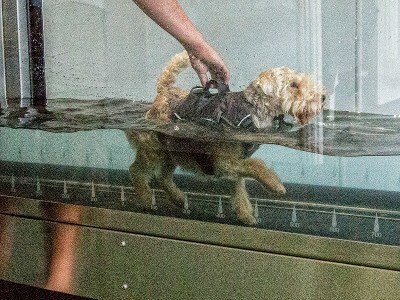 Puppies can greatly benefit from hydrotherapy treatment. Whilst they are young, large amounts of exercise is not good for growing dogs. 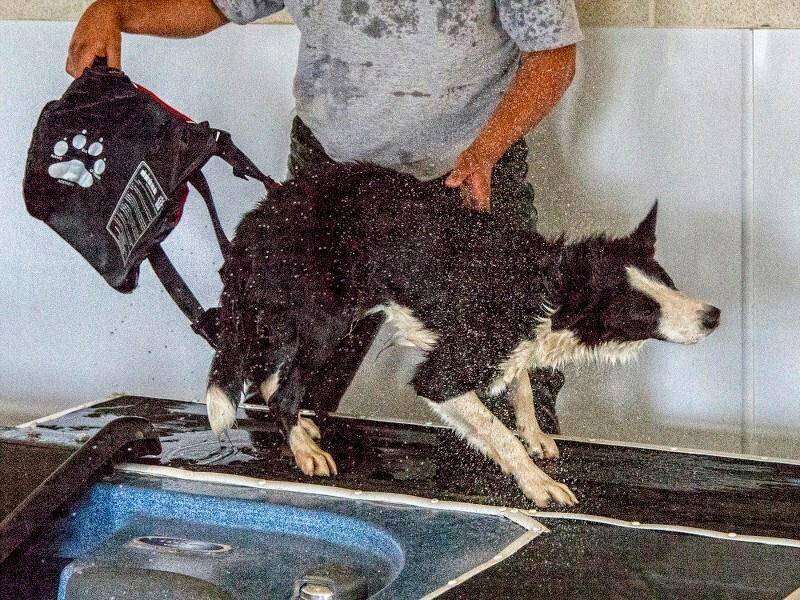 Hydrotherapy is a perfect way to exercise growing dogs because it reduces the stress on joints and growing bones so there are no detrimental effects. It is also a fantastic way to introduce puppies to water in a safe clean environment. Show dogs can benefit from hydrotherapy as it helps condition the dog to have a leaner, healthier body with increased muscle. By adopting a programme to reduce fat and increase muscle a dog's posture should naturally improve. Agility dogs will already have a high level of fitness. Hydrotherapy, through resistance training, can further improve this fitness and better stamina. They will become more competitive by being able to run harder, longer and faster.